Daisy Meadow: The Big Skincare Revolution - Revealed! 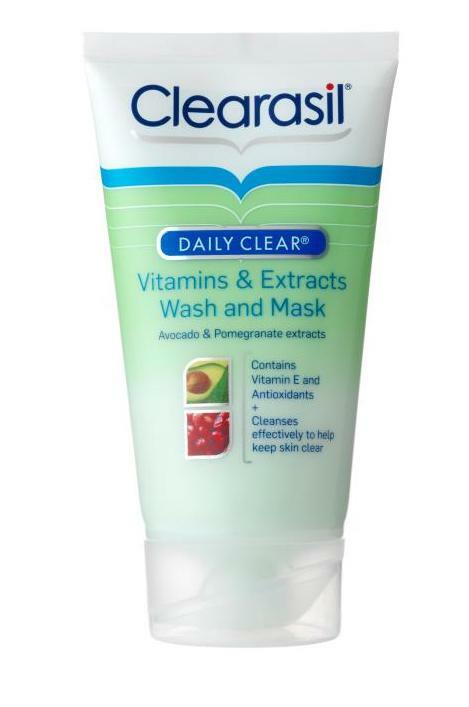 Clearasil's Daily Clear Wash & Mask with Avocado & Pomegranate Extracts! "A creamy 2 in 1 cleanser that can be used as a daily wash or an indulgent treat when left on the skin as a three-minute mini facial mask. It contains clarifying salicylic acid with a blend of avocado, pomegranate extracts and vitamin E known to nourish the skin, so it’s extra gentle but strong enough to clear away impurities. 150ml for £4.99"
I assumed the product would be made by a company along the lines of Clearasil/Clean and Clear/Neutrogena, so no huge surprises for me. Although, I must say I am really surprised with the packaging! It looks really neat, "grown-up" and attractive, which is a definite positive.You can read my review on it here, I was definitely impressed with it, and would recommend it! I think the PR for this product was a fantastic idea, and would love to participate in one of these mystery trials again in the near future! What do you think of the new product? Are you going to try it out now it's been released? Im definitely going to try get this when I see it in the shops! ooh I want to try this now!